Diggerland is a fantastic day out – and not just for the kids! DIY Doctor has teamed up with Diggerland again as they are simply the best day out for we know about – If you (or your kids) happen to like the idea of driving diggers, racing dumpers or watching amazing digger displays then this is the place for you! There are four locations across the country (Yorkshire, Durham, Devon and Kent) and they are open most weekends and all summer. 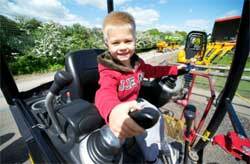 One lucky family will win free entry to any Diggerland location of their choice for the day. You will experience the action, enjoy the rides and see the shows that have been amazing families for many years. Best of luck! Duggy & Dotty cannot remember the name of this popular Diggerland ride, can you help them guess the correct name? 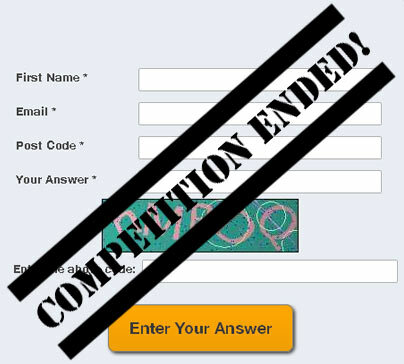 If you do you could win a family ticket!